The RGB, HSL or HEX color values are not correctly converted to CMYK. This results in wrong colors being displayed on the screen for manually entered CMYK values in "Color Chooser". I've attached a file in which you will find a better description and examples of this problem. I'm not certain that the description is correct per se. The reason I say that is look at your screen shot showing the CMYK to RGB converter beside Rect 2. Note the Hex value. Now follow your Rect 3 step and note the Hex value is the same as that web site. It could be argued that both AD and that web site have the same conversion issue. I haven't tried to replicate your error and line of thought. Looking at the color settings of your document, it says color profile "convert". Can it be that the selection of "convert" messes up your color conversions? None of the less, your findings show incongruencies that Affinity should check out. I checked two RGB to CMYK online converters, and both convert R234 G116 B36 to C0 M50 Y85 K8. The value that Affinity uses for the conversion apparently is different from the industry conversion!? I really hope that this will be investigated by Affinity staff. If you select RECT1 and RECT2 in the attached file and inspect the colors through the Colour chooser, you will notice they have the same RGB and CMYK values but a different position of the small circle denoting the picked color - which means that there is something wrong. If you manually enter the CMYK values in Colour Chooser as I did for RECT2, you will notice that the color of RECT2 is clearly different as the color inside the small circle in the Colour Chooser (a bit more saturated-reddish) It appears this is the correct color for CMYK 4, 67, 100, 0 but it is displayed wrong on the RECT2 in the canvas. The converter to the right of RECT2 shows that the color in the Colour Chooser appears to be the same as it is displayed in the converter. You all understand that color conversion is based on mathematical rules right? Those rules can be stored in color profiles, which there are many. The user Matej Junk explained his findings in above posts. I worked a couple of years in PrePress and know one or two things about these matters. But for the sake of the question of Matej, could you indicate us the correct conversion values of the color R234 G116 B36 and if Affinity Designer values are congruent? 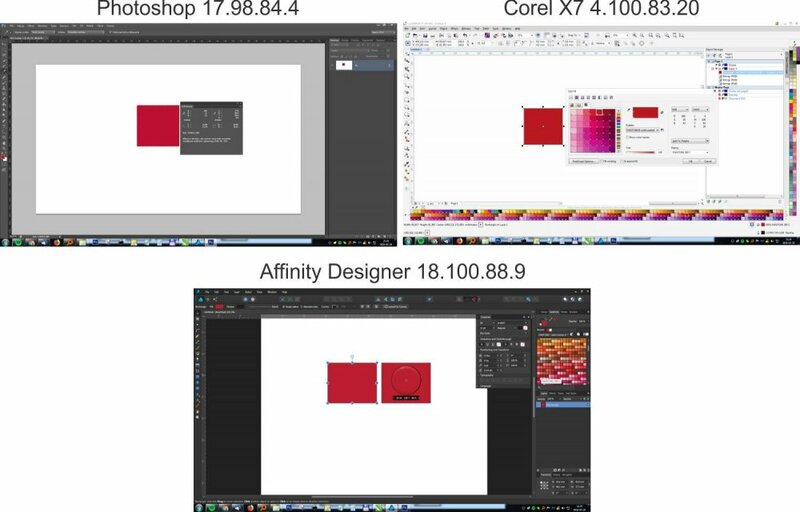 Especially the RGB to CMYK conversion of Affinity Designer is so important because of many artists who don't have the knowledge of professional color printing. There is TLDR at the bottom. So here is my simple, yet not popular answer - I do not know. But I know the solution - and I repeat - it's "work with your printing company". It's plain and simple. Choose the color/rous you have trouble with. 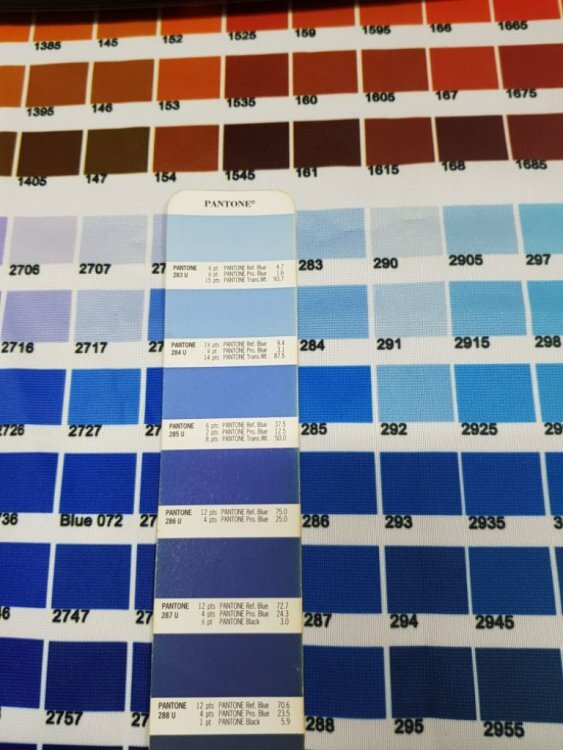 Use CMYK or Pantone deck to decide while viewing with your bare eyes in the light condition you/clients will be viewing final product. and examine them with bare eyes, same as in above statements. Now you should have some basic idea which of the colours are better or worse. 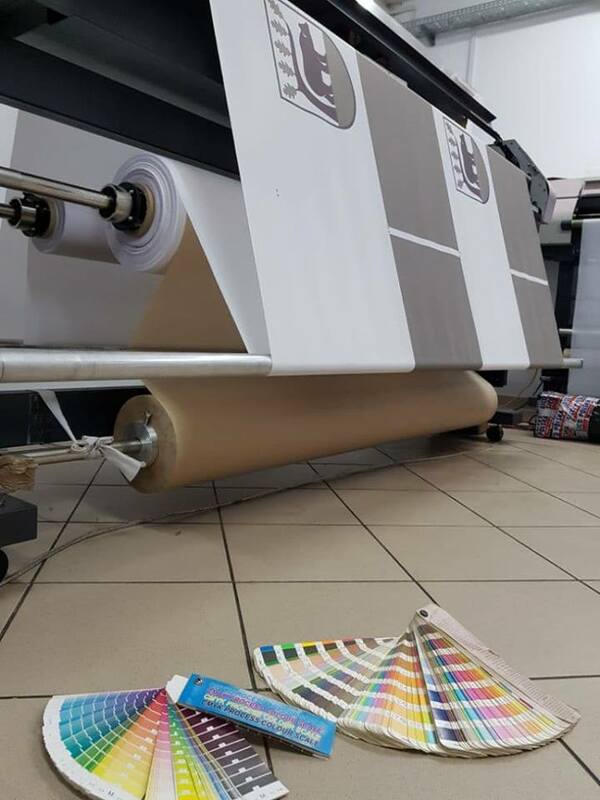 Exact precise value is not important in printing, just because there are so many variables in printing technology, that each factory has it's own protocol - 2-3-5% of colour change or inaccuracy is usually possible. This is due to many things, starting from type of the media chosen, inks used, air humidity, post processing ingriedients used (like water) etc. 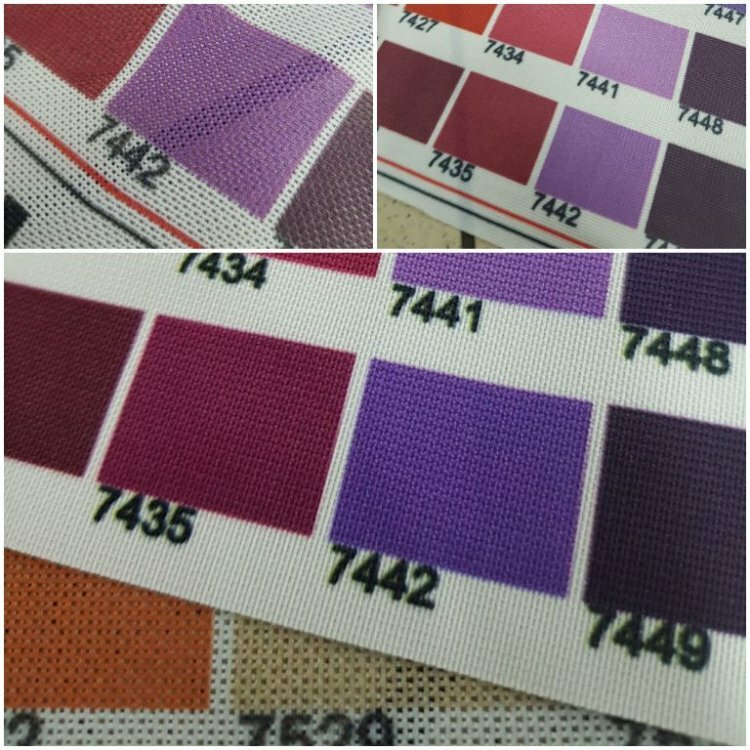 Now when you are satisfied with the result, and you have your printed sample, bring it here so I can use my own eyes and my experience, than we will talk, and I'll decide, or we will together, using my own printed palette from the same software. You see I use mostly Corel. When I print a proof from someone who used Adobe - colours will be differently translated. This why many if not all printing studious take vector files and like them better, or should I say postscript. TIFF is a form of bitmap, that can use named colors., but usually we like vector files where we can easily change colours so they will look as intended. As long as you export colors by name and not by cmyk values you are safe. Print swatches, examine which you like most. Send those to print production ask for proof swatches with named colors. Pick a number. Get colors you like. 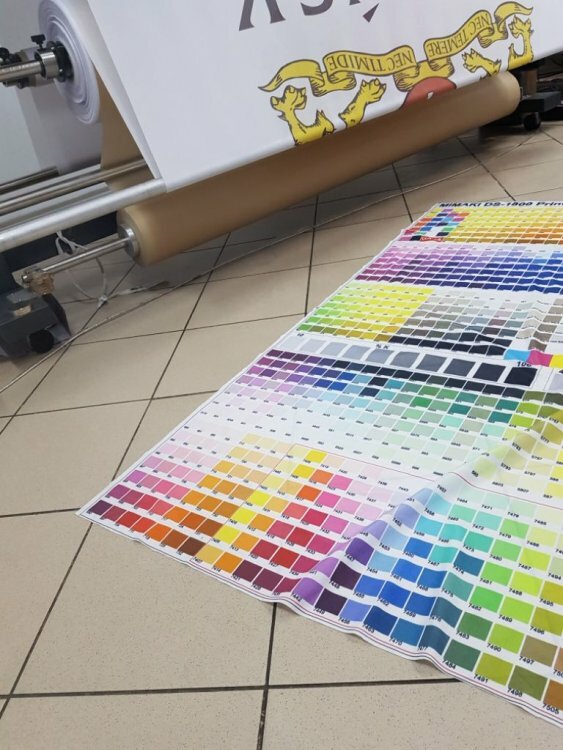 Pantone, HKS, CMYK, RGB, RAL, hell even both uncoated and coated versions, as good desiger knows there are many media types logos will be used and printed onto. Someone has to decide, clients ussually want the RGB color pop and vividness, juicyness of reds and greens. People are now used to OLED displays, and are usually not pleased with washed out colours on prints.. It's hard to explain them why they have to accept it. Some of them don't want to. So to end this conversation, I will repeat myself again, work with your priting guys. They will help you to decide. And foremost always use named colors. They are here to help us. Color accuracy and matching is hard work. And it's not just so simple as "tell me which one is correct value". Thank you for reading this. I will gladly answer more questions or share my knowledge. In the end we are all here to explore and learn. Thanks a lot mrqasq for diving once again into this topic. Your comparison between Photoshop, Corel and Designer is pretty convincing: every software uses its own interpretation of color conversion between RGB and CMYK. I didn't expect so severe differences. But, like you said (in other words), we have to accept this and define our colors with professional means like color guides and with the help of PrePress professionals. Despite this, Affinity should at least make it's own algorithms coherent throughout the software.